My case was handled with care and professionalism. Your attention to detail and determinedness was admirable. I am delighted with the outcome and would not hesitate to recommend you to family & friends. Malpractice is generally understood to involve a breach or negligence of professional standards which causes someone to be harmed. The harm can be physical or emotional. If a person's harm caused significant changes in their family or support system that too could be a basis for malpractice. For example, a person undergoes a medical procedure. After the procedure, the patient feels it was not performed properly. Further their resulting condition has limited their ability to provide for their family. Both of these injuries can be included in a malpractice case. If the injury is emotional or results in some form of mental impairment, a case of psychiatric medical malpractice can be filed. What is Psychiatric Medical Malpractice? Psychiatric medical malpractice deals with two types of patients: those who are already suffering from a psychiatric disorder; and those who develop a psychiatric disorder as the result of some other cause. The former type of case is based on the medical professional failing to properly diagnose a person's condition as psychological or improperly prescribing and/or managing a course of treatment. This is especially difficult because the patient's mental condition can contribute to the solicitor not obtaining correct or meaningful information. The second type of psychiatric medical malpractice comes from the medical professional's failure to properly diagnose and prescribe treatment for a psychological condition. This condition could have come from any number of sources. Among the common sources are drug abuse, traumatic events such as a war or major accident (post-traumatic stress disorder), improperly administered anaesthesia prior to and/or during an operation. These cases are more difficult to prove due to the inherent difficulties in diagnosing psychiatric illness. As with other forms of medical negligence and the resulting injury, psychiatric medical malpractice can also have a significant impact on family and loved ones. Not only can the treatment be a financial burden, the patient themselves can be a danger to themselves and require constant monitoring. This could lead to institutionalisation. Where Can I Find Psychiatric Medical Malpractice Companies? 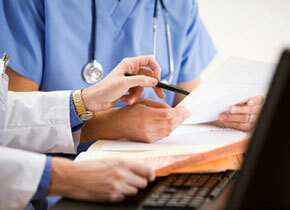 Psychiatric medical malpractice is often harder to prove than other medical malpractice cases. Because of this legal firms need to fully understand your case before providing an estimated fee. Be sure to visit several firms so you can find the one that is best for you. Some options available are: no-win, no-fee, a percentage of the settlement and pro-bono where there is no cost what-so-ever for the legal service. If you have a loved one who you feel is a victim of psychiatric medical malpractice, then you should consult a local solicitor to determine your rights. Your solicitor can advise you on the validity of your case and the chance of success. Once you have filed your psychiatric medical malpractice case, be sure you keep involved to ensure your loved one's best interests are being served.